Divya Music offers beginner Santoor lessons for Kids, children and adults - Santoor music classes on Skype, YouTube and Free online Santoor lessons - Santoor instrumental music classes and Santoor classes online. Divya Music School offers DM Live Core – Online Santoor training lessons from best Santoor Gurus – top rated Santoor teachers in India for learning to play Santoor musical instrument. The flexible online music classes with Santoor playing online instrumental music lessons facilitated on Skype is the best option for learning Indian Santoor at home, offering affordability and convenience to the Santoor instrumental music students all over the world. Divya school of music offering DM Live core online music lessons is promoted by the top music school in India – Divya sangeet (music) vidhyalaya, as the best sangit – online international music education center in India conducting Santoor learning hobby lessons for the global music students. Santoor instrumental music classes and levels of learning Online instrumental music courses - Santoor playing online lessons on Skype available with DM Live Core Divya music school online classes are for all levels of Santoor learning and classifications for the global students. Three levels of beginner Santoor learning include 24 online Santoor lessons (of 40 minutes duration each) in each Santoor learning level. The three levels are for the beginners – Santoor students. Details – Learning to play Santoor for beginner level. Three levels of Intermediate Santoor learning include 24 online lessons (of 40 minutes duration each) in each Santoor learning level. The three levels are for the intermediate Santoor students. Details – Learning to play Santoor for Intermediate level. The three levels are for the advanced Santoor students. 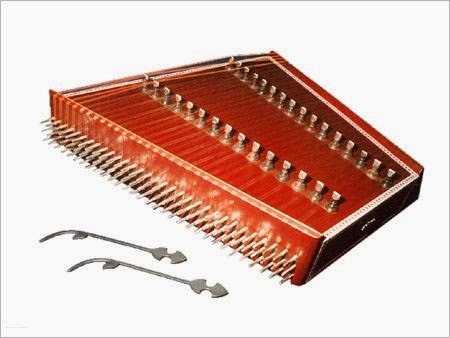 Details – Learning to play Santoor for Advanced level.